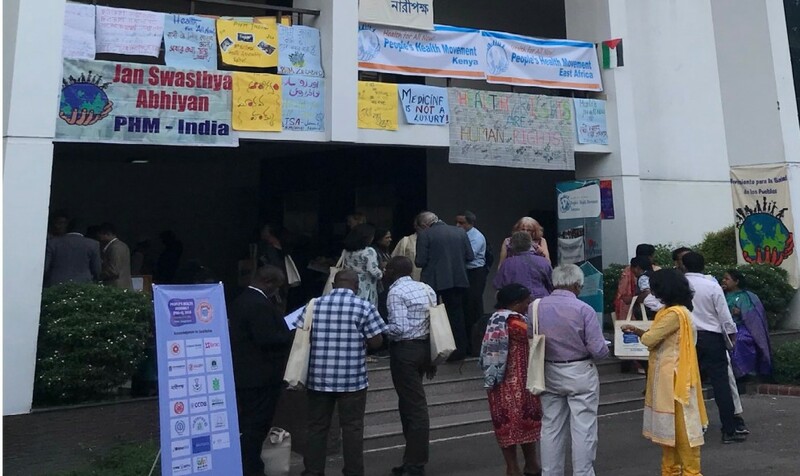 Last week our campaigner, Tess, was lucky enough to attend the Fourth People’s Health Assembly (PHA4) in Bangladesh. 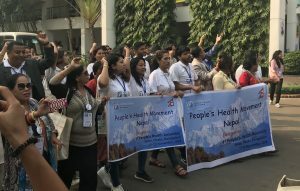 Organised by the People’s Health Movement (PHM), the Assembly was an opportunity to bring together health activists from all across the world to discuss how we can achieve Health for All Now. Even before boarding the plane, I knew this was going to be an exciting four days as 1400 activists and health workers travelled from no less than 73 different countries to be there. And I wasn’t wrong. The atmosphere was incredible as friends came together and reunited, not to mention the impromptu singing and chanting! It was an action-packed few days with plenaries, workshops, and meetings running late into the night. We shared the challenges we face in achieving healthy lives, and explored the ways we can work overcome them. It was incredible to hear from such amazing activists who are dismantling the barriers to health in their own communities – from establishing sustainable healthy communities on reclaimed land in Brazil to preventing the privatisation of vital health services in the Philippines. 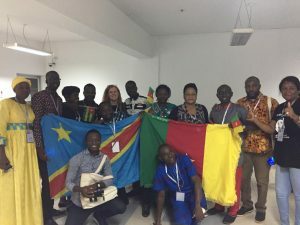 I was able to meet with my fellow colleagues from Health Poverty Action – Tadesse and Alfenur – who had travelled from Ethiopia to be there, as well as connecting with the brilliant UK group from the People’s Health Movement. They have also written up a summary of their experiences here which is well worth a read! I was also lucky enough to be a part of a session exploring the commercial determinants of health with PHM West and Central Africa in which I presented on the ways trade policies can undermine our right to health. As the Assembly drew to a close, the excitement didn’t end there for me. 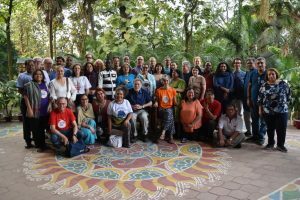 I packed my bags and headed to the beautiful Gonoshasthaya Kendra University (the birthplace of the PHM) to represent Health Poverty Action at a two-day Steering Council meeting for PHM. I really enjoyed learning more about the movement and it was incredible to be spending time with those who work endlessly to keep the movement alive. It was a truly fantastic few days and I learned so much from my time in Bangladesh. It was an honour to have been able to attend this event and take the voices of Health Poverty Action supporters like yours with me. I am returning to the UK completely enthused and ready to continue to work towards Health for All Now! A huge amount of credit is due to the organisers of PHA4 who worked tirelessly to create such an amazing event. Even in the face of potential cancellation, and last minute changes to the venue and programme they were able to pull off an almost seamless assembly – it would not have been possible without them! Since returning back to the UK, we heard the devastating news that our comrade Amit Sengupta passed away. Amit was one of the founders of the People’s Health Movement and a true champion of the health justice movement. He will be greatly missed by all. You can read the full tribute to his brilliant life here.